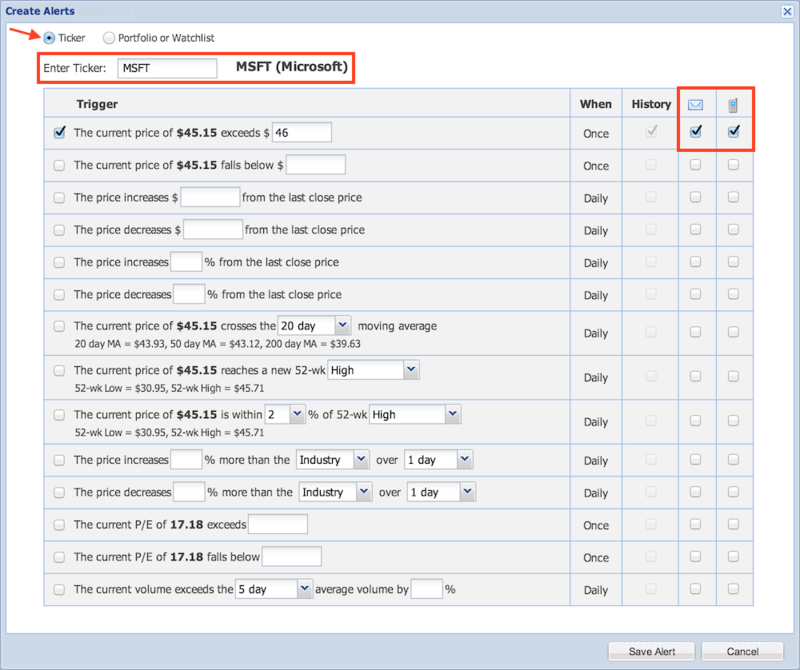 This will bring up a widow where you can set a variety of price-related alerts for the ticker. When you type into one of the alert boxes and hit enter, the alert will automatically be set as an email only alert (it will be checked under the “Mail” icon column on the right), but you can also check the box in the phone column to get a text alert. The first time you set up a text alert, you’ll be prompted to enter in your phone number. If you mouseover the checked boxes on the right, you can see which email address or phone number the alert will be sent to. Click ‘Save Alert’ when you are finished. 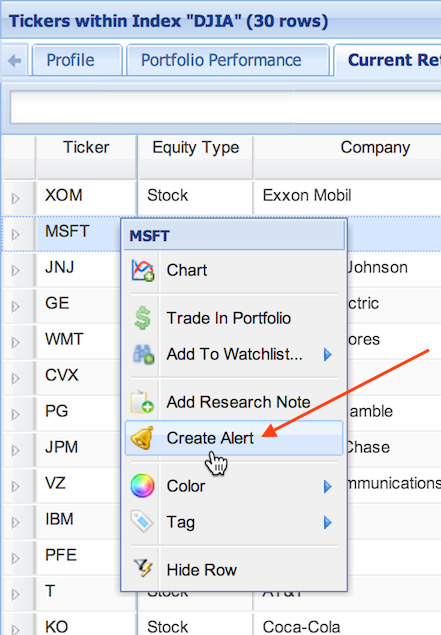 You can also create a new alert by clicking the Create Alerts button in the Start menu, or by searching for it in the Start menu. 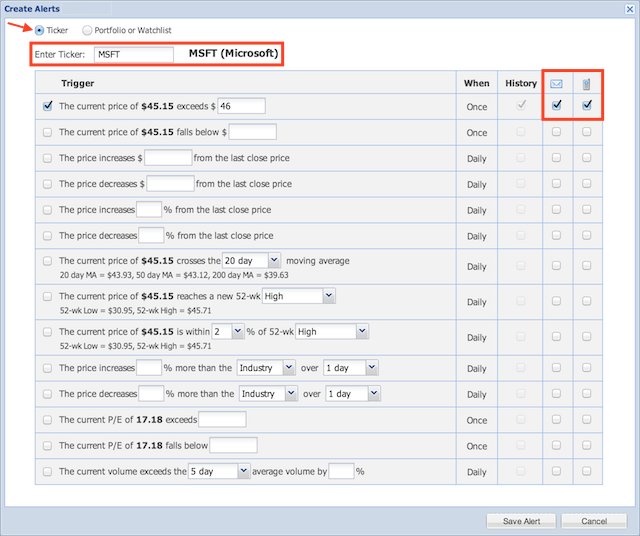 This will open the Alerts facility window. 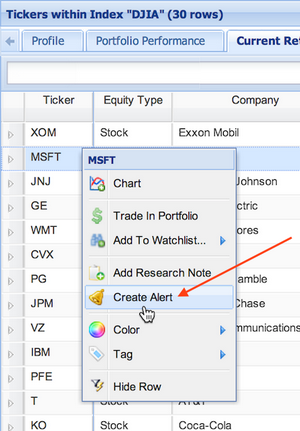 To create an alert, click the ‘Create Alert’ button in the top left. 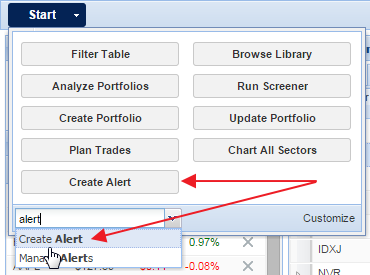 This will bring up the same window pictured three images above where you can type in a ticker and then enter in the alert criteria.